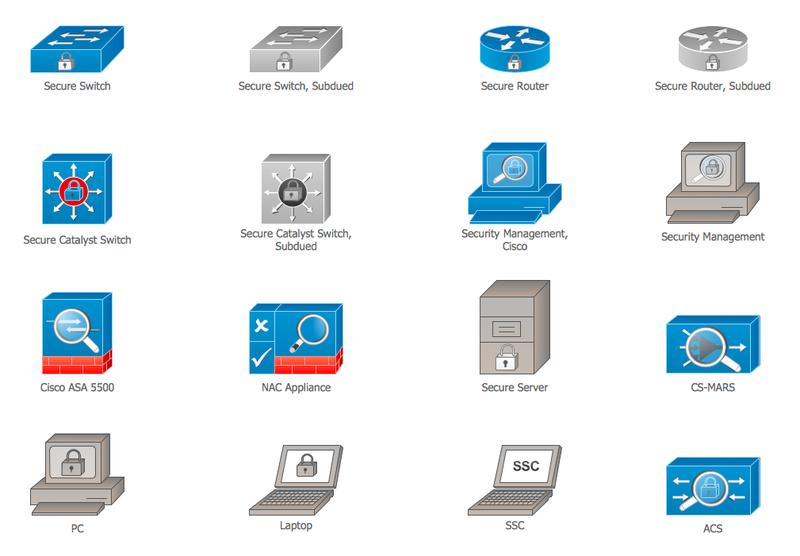 The example "Design elements - Cisco Security" is included in the Cisco Network Diagrams solution from the Computer and Networks area of ConceptDraw Solution Park. ConceptDraw DIAGRAM v12 is the only application on the Macintosh platform, supplied with a comprehensive Cisco icon set. For graphic solutions that support Windows, only Microsoft Visio has a library of Cisco shapes. ConceptDraw DIAGRAM v12 is a valuable option to many network professionals that use Macintosh computers or work in a combined Mac and PC environment.